Do you suffer from irregular sleep? Perhaps it’s falling asleep that troubles you. Maybe you wake up in the middle of the night, wanting desperately to keep sleeping, but are unable to. Or is your tendency to spend more time sleeping than is physiologically necessary, so that you actually get too much sleep (which can be equally problematic)? The truth is that imbalances in our sleep patterns can be very discouraging—even debilitating—and the task of getting back on track can feel incredibly daunting. But with the right set of tools, it is possible to find and return to balance. Being the timeless art of living that it is, Ayurveda offers a refreshingly simple and practical approach to balancing sleep cycles. But sometimes life interferes with our internal biological rhythms and they become slightly out of whack, which can result in either too much sleep or too little. This article will help to point you in the direction of a number of useful Ayurvedic tools for returning to balance. Farmers everywhere know that a field is far more productive when it is allowed to periodically lie fallow to regenerate the fertility of the soil. Sleep provides a similar period of rest for the body and mind—but we don’t fully understand it. One of the most confounding aspects of sleep for scientists has been the fact that, in nature, sleep is a risky business, with a very real potential to leave animals vulnerable to injury, predation, and death.5 So why do most animals (humans included) need to sleep in order to survive? Sleep itself must offer something that cannot be obtained thru conscious or semi-conscious rest. Further, sleep has been linked to important changes in the structure and function of the brain.16 When it comes to infants and young children, sleep (and a lot of it) is absolutely critical to proper brain development.17 In adults, similar correlations have been drawn between sleep and the brain’s ability to reorganize itself and form new neural pathways.18 Sleep also helps to restore the signal strength of important brain synapses, facilitating learning and memory.19 In other words, our sleep very directly affects our ability to learn, retain information, perform tasks, develop new perspectives, and re-pattern neurological pathways. For all of these reasons and more, it is actually quite important that we get an appropriate amount of sleep. In Ayurveda, sleep disorders are classified according to dosha. There are vata-, pitta-, and kapha-type sleep disturbances—each with a distinct character, and a corresponding line of treatment. But the doshas can also have a distinctive influence on our sleep preferences and habits. As with many things in Ayurveda, one’s constitution and current state of balance will influence the types of sleep imbalances that are most likely to crop up. A vata-predominant individual is more likely to experience vata-type sleep disorders; pitta-types will tend toward pitta sleep complaints, and kapha-types toward kapha sleep issues. But any imbalances overlaying the constitution will also influence the situation. If you do not know your constitution or your current state of balance, please consider taking our simple Ayurvedic Profile™ quiz. The following sections are meant to help you understand how each of the three doshas informs your experience of sleep. Look for what you identify with—both in terms of your sleep habits and preferences, as well as the types of imbalances that tend to influence your sleep patterns. Vata-type sleep tends to be irregular and light, but can be profoundly deep when one is exhausted. Vata-types typically crave a soft bed to cushion their protruding bones, and tend to sleep fewer hours than other types.20 Interestingly, vata is better supported with more sleep rather than less. Vata is also behind the tendencies to grind the teeth, sleep walk, or talk in one’s sleep.21 Vata-type dreams tend to be spacious and airy and often focus on movement, adventure, or being chased; vata-types dream a lot, but they frequently have trouble recalling their dreams.22 While vata can cause difficulty falling asleep, the classic vata-type sleep imbalance is to awaken during the night—unable to return to sleep. This is particularly common during vata time, from about 2–6 a.m. If these vata-type patterns resonate with you, please see our resource on Balancing Insufficient Sleep for recommendations—including specific practices you can use to pacify vata, where appropriate. Pitta-types generally sleep well, though somewhat lightly. They tend to prefer a firm bed and few covers, due to pitta’s tendency to overheat.23 Pittas crave a moderate amount of sleep—somewhere between vata and kapha, which is generally supportive of their physiological needs. However, pitta-types can easily forego sleep when they are preoccupied with a project or are up against a deadline. Pitta sleep is often disturbed by fiery, vivid, and active dreams, but pitta-types typically return to sleep easily if they are awakened.24 Difficulty falling asleep is the classic pitta-type sleep disorder because pitta is elevated in the mind and in the atmosphere from about 10 p.m. to 2 a.m. This can activate the mind, stimulate ambition, and can completely overwhelm any desire to sleep. As a result, many pitta-types are night owls and can be incredibly productive at night. If these pitta-type patterns resonate with you, please see our resource on Balancing Insufficient Sleep for recommendations—including specific practices you can use to pacify pitta, where appropriate. Kapha-types are heavy sleepers, can generally sleep soundly anywhere, and are not easily disturbed or awakened. They adore being in bed and like to sleep more hours than any other type—preferably on a soft mattress, under an abundance of comforting, fluffy covers.25 Interestingly, kapha-types actually need less sleep than vata- and pitta-types. Kapha dreams tend to be calm, smooth, watery, and emotional.26 When out of balance, kapha tends to cause excessive sleep, a feeling of heaviness, sluggishness, and difficulty waking up. Kapha is elevated in the mind and in the atmosphere from about 6–10 a.m./p.m., which can increase kapha’s natural heaviness and sluggishness, making it easy for kapha-types to sleep for many extra hours. If these kapha-type patterns resonate with you, please see our resource on Balancing Excess Sleep for recommendations on how to balance excess kapha in the sleep cycle. While each dosha has a unique influence on sleep patterns and imbalances, quality sleep is equally important for all of us. Ayurveda can help us to discover our natural tendencies and to distinguish those from our particular vulnerabilities toward various sleep imbalances. 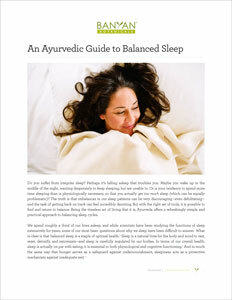 In addition, Ayurveda has a great deal to say about how to support balanced sleep in general. Often, simple adjustments to routine, exercise, diet, and lifestyle habits can have a profound impact on sleep. In fact, in today’s world, where sleep disorders abound, Western medicine is embracing many of Ayurveda’s lifestyle strategies in the treatment of sleep disorders. Specific herbs can also be used to support a return to balance. An Ayurvedic practitioner can be incredibly helpful in identifying the most potent strategies for your individual situation. That said, our remedy guides are specifically designed to help you begin to understand and correct your current imbalances. Simply choose whether your tendency is to be deprived of sleep or to get too much of it. Keep in mind that you do not have to be experiencing disordered sleep now in order to begin to correct the imbalances that underlie your tendencies. Ayurveda is a holistic approach to wellness that can help us to correct the root cause of our imbalances at any time—whether we are currently experiencing symptoms or not. Suffering from insufficient sleep (or is this your tendency)? Please see our guide to Balancing Insufficient Sleep. Sleep too much (or is this your tendency)? Please see our guide to Balancing Excess Sleep. We wish you the best as you learn to support your daily rhythms and balance your sleep cycle with the wisdom of Ayurveda. These days, so many people don’t get enough sleep that it can be disorienting to imagine that it’s actually possible to get too much of a good thing. The truth is that oversleeping can send our bodies into a tailspin in much the same way that sleep deprivation can. Each of us has suffered a restless night at some point in our lives. We’ve all occasionally sacrificed sleep for a cram session before an exam, or an important deadline. Many of us also know the feeling of losing sleep due to an intense emotional upset or the accumulation of stress or anxiety. 1 “Why Do We Sleep, Anyway,” Healthy Sleep (Harvard Medical School: Division of Sleep Medicine), last modified 18 Dec, 2007, http://healthysleep.med.harvard.edu/healthy/matters/benefits-of-sleep/why-do-we-sleep. 6 Neil Osterwiel, “The Health Benefits of Dreams: Researchers now believe that dreams help us process emotions, consolidate memories, and more,” Web MD, last modified Feb 25, 2009, http://www.webmd.com/mental-health/features/the-health-benefits-of-dreams.  7 A.N. Goldstein and M.P. Walker, “The Role of Sleep in Emotional Brain Function,” Pub Med Abstract, last updated 31 Jan. 2014, http://www.ncbi.nlm.nih.gov/pubmed/24499013. 8 Swami Shantimurti Saraswati, “Yoga Nidra, Sleep and Brainwave Patterns,” Ashram Yoga, retrieved 29 Sep, 2014, http://ashramyoga.com/swamis-corner/yoga-nidra/yoga-nidra-sleep-and-brainwaves/. 10 “Why Do We Sleep” Healthy Sleep. 12 “Why Do We Sleep” Healthy Sleep; “Sleep,” Wikipedia, retrieved 15 Jul, 2014, Functions, https://en.wikipedia.org/wiki/Sleep#Functions. 14 “Why Do We Sleep” Healthy Sleep. 16 “Why Do We Sleep” Healthy Sleep. 20 Sebastian Pole, Ayurvedic Medicine: The Principles of Traditional Practice (London: Churchill Livingston, 2006), 32. 24 Pole, Ayurvedic Medicine, 32.